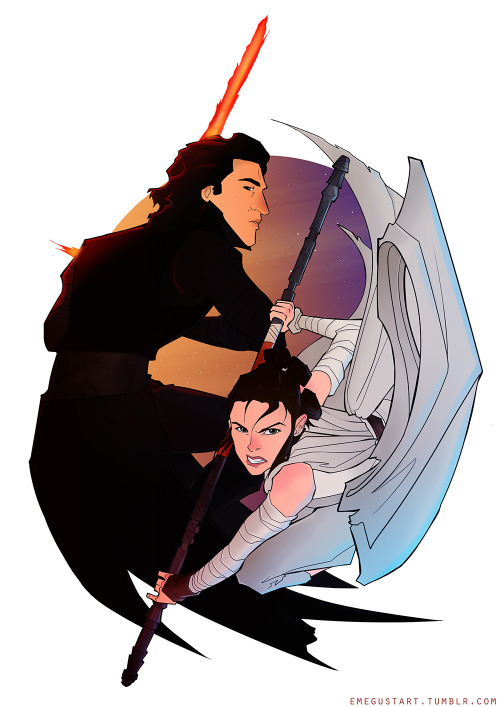 In my first two articles, I refuted the ten most common arguments lodged against the Reylo ship. This time I’ll be analyzing the positive aspects of the ship, explaining where it came from and how much chance it has of becoming canon. Trigger warning for abuse and brainwashing/grooming. What Started This Ship and How Canon Is It? In one of the movie’s finest moments, Ren—unmasked and intense—engages Rey in a major stare-down, an unholy duel between the light side of the Force and the dark. The sexual energy between them is strange and unsettling, like a theremin sonata only they can hear. Kylo Ren nearly TOUCHES HER FACE... THEY'RE BOTH SURPRISED: they react to a feeling that passes between them -- AN ENERGY THEY RECOGNIZE IN EACH OTHER. And then it's gone. Adversaries again. Having circled her, he moved even closer, peering into her face, her eyes. Then the red lightsaber he held came up: close to her flesh, close enough to cast a red glow on her skin. Switching off his own weapon, Ren extended an arm toward the device lying in the snow. It twitched and then began to vibrate as the Force called to it. Stretching out his hand farther, straining, Ren beckoned powerfully—and the lightsaber rose, to come bulleting toward his outstretched fingers. Taken aback, he whirled—to see the weapon land in the hand of a girl standing by a tree. Rey appeared equally shocked that her reach for the device had exceeded his. She gazed down at the weapon now resting in her grip. 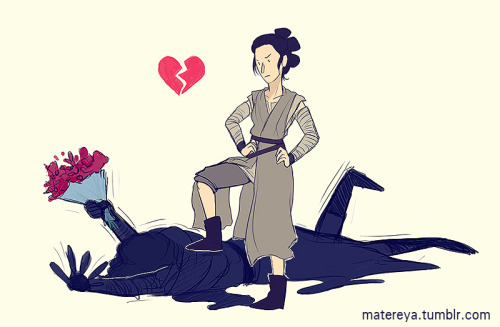 It is not known for sure whether or not Rey has any romantic feelings toward Kylo. Personally, I think either she views him solely as a nemesis at this point or she does have some secret feelings for him that she doesn’t want to acknowledge – and won’t acknowledge unless and until he is redeemed (smart move). And there are plenty more interesting interactions between her and Kylo that lead me to believe their connection is important, as is their journey in understanding one another. One example is the scene where Kylo first takes off his mask – an act that has been noted to be of great importance and vulnerability for Kylo. Rey has this preconceived perception of him – a picture of this monster, this heartless and faceless person. And she protects herself with that image. She can do and say anything to this image. She can loathe this person. She can see him as a cruel dictator, she can see him as a little piece of dirt on her shoe. She can see him as an object to yell at and throw hate at. (All of which she is well within her rights to do, of course, given what he’s done.) But then he takes off the mask – and now he's a person. And not just a person but an equal. Someone with a face that can even look kind. Perhaps someone who has the capability to actually be kind. She looks into his mind and sees something that fascinates her, something weak, frightened. Something that was once good and that can perhaps be good again. And everything she has – her image of what he is, what she's fighting against, and even who she is in some ways, immediately melts away. Despite the questions surrounding Rey’s feelings for Kylo Ren, his feelings for her are far more clear. Everything from the little details – picking her up and carrying her bridal-style into his ship, to the larger plot points – abandoning his good tactical sense by calling off the search for the droid, determined to get the map from Rey instead – point to the fact that he is intrigued by her. He also proves time and again that he cares for her well being. 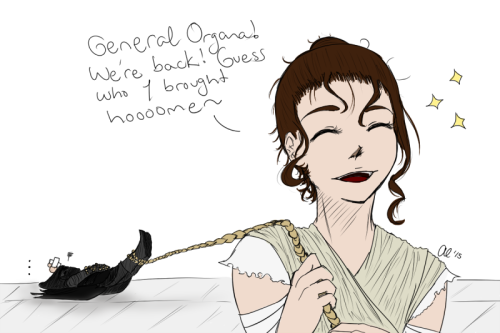 While he reveled in his harshness when dealing with previous prisoners like Poe, he insists on treating Rey like a guest during his interrogation of her. He is purposely honest with her about her friends, avoids subjects that he thinks will make her uncomfortable, tries to avoid using a mind probe on her to get the information he needs, and when that doesn’t work, uses the mind probe as painlessly as he can. What’s more, this is not something he’s faking to confuse her or simply get her to cooperate. It’s genuine. This is proven later in the novelization during his conversation with Snoke. Kylo purposely downplays Rey’s importance in an attempt to protect her from Snoke. Snoke doesn’t fall for it, realizes Kylo has feelings for Rey that he shouldn’t have, and (though she escapes before he gets the chance) decides to use Rey to punish Kylo. “That’s all she is, yes. A scavenger from that inconsequential Jakku. Completely untrained, but strong with the Force. Stronger than she knows.” His mask off, Ren replied with what seemed to be his usual assurance. No one else would have sensed a difference. Snoke did. 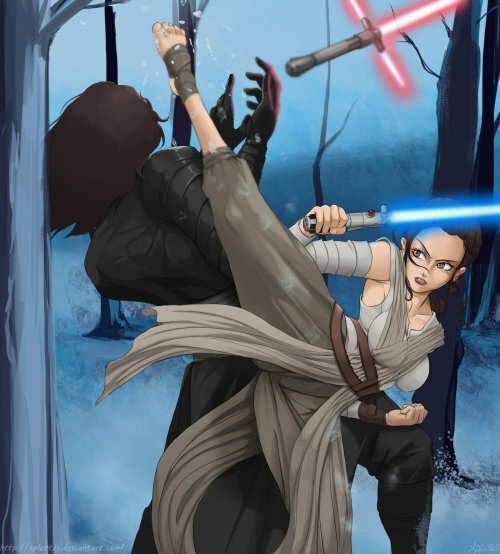 Even during his own lightsaber battle with Rey at the end of the film, Kylo fights to disarm her and not to kill her. In fact, his main wish is to get her on his side. From the way this is worded, many have speculated that Kylo could even wish to show Rey the Force apart from Snoke and the Dark Side. Most interesting of all, though, is a scene in Rey’s vision after she first comes into contact with Luke’s old lightsaber. In it, it shows what appears to be Kylo Ren saving Rey, killing one of his own fellow Knights of Ren who is about to take Rey’s life. After much analysis of the characters, costumes, weapons, and more, most fans believe this part of the vision is prophetic and not a memory. Which means Kylo Ren will most likely save Rey from one of his own people in an upcoming Star Wars film. It must be pointed out that, as a Foe Yay ship, Reylo is already canon. All that is required of a Foe Yay ship is that two nemeses be drawn to each other in some way other than just enmity, and that’s already been established between Rey and Kylo in-canon. A Villainous Crush on Kylo’s part is also most likely already canon. The only question that leaves is, will it be canon as a traditional romance post-redemption? There’s no way to answer that for sure at this point, of course, but it is possible. Especially since canon has established Rey is drawn to him for some reason. Whether that means she will return his feelings one day or if it means they are connected in some other way, we will have to wait and see. Either way, the narrative is trying to tell us their relationship is important. And when it comes right down to it, that’s what’s really important. That’s why, I think, Reylo is already canon enough. It’s not so much about whether they kiss at the end (although that would be amazing!) but about their connection as characters. Anything else is just icing on the cake. Though I do suspect there will be plenty more icing to enjoy in future films. The majority of Reylo shippers want Rey to play a large role in Kylo Ren’s redemption, and a lot of people looking in from the outside seem unsure of what that means. Many seem to think that we hope Rey will fall head over heels for Kylo, ignore everything bad he’s ever done, and beg him to come over to the good side so they can be together. But, while it’s possible things may change later, I find that scenario unlikely at this point given that most of the romantic feelings (or whatever it is that’s drawing them together) is one sided on Kylo’s part. As we established, Rey feels something for him, but her dedication to the Resistance and the light side of the Force comes first. And that’s what we want. In fact, that may actually be exactly what redeems Kylo Ren. 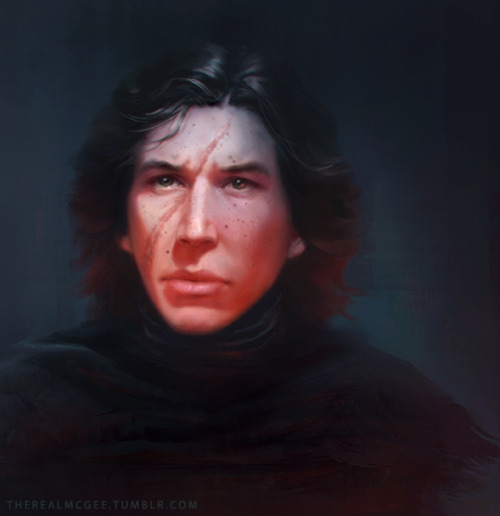 The way you reach [Kylo Ren] is not through emotional pleas (sentimentality is something he’s been trained to hate for years) but through upending the world as he understands it. He is prepared to resist his family’s lies, he is prepared to take what he wants from the violent resistance, he is prepared to cut down weak light side users who won’t even defend themselves. What he isn’t prepared for is a light side user stronger in the force than he, untrained (unsullied by either Snoke OR Luke), full of anger, a girl who wants to kill him but doesn’t, who spares his life not because she is full of weak sentiment but because she makes an unprovoked choice to do so, because it simply feels right to her, because she resists the dark instinctively. She untangles everything he thinks he knows about the force and his place within it, and it’s so alarming that he can’t kill her. He just cut down his own father and he can’t figure out what to do about her. That is what people mean when they say Rey will be part of his redemption arc. She is so complicated and so fascinating and so new to him that her every action seems to shake him to his core, in a way that not even Star Wars’ greatest weapon of familial love could do. She is something else, she is not the enemy he’s heard about, she scarred him as she spared him, she made sure he remembered her and her rage. Who is she? Everything that makes him weak makes her strong. Everything he has abandoned is what she wants most. Kylo has been trained to see everything backwards, but clearly, everything in a neat box. His family is cruel, the light is weak. he can’t find a place for Rey at all. He won’t be able to think about anyone else until he understands what she is. And if she exists–someone lonely and desperate and angry but good all the same, and stronger than he could have imagined–then what else has Kylo gotten wrong? About himself? About Snoke? About everything? Rey doesn’t need to do anything to redeem Kylo Ren. Technically, she doesn’t even need to love or care about him. Just by being a good fighter, she could help him see the light and give him the tools to save himself. Having said that, I also believe it’s unlikely Rey will remain apathetic about Kylo Ren. Though it’s not necessary for her to love him or purposely try to save him in order for her to play a huge part in his redemption, I do think that trying to redeem him will become part of her personal mission at some point. We need to consider that she is drawn to him for some reason. But even if it weren’t for that, Rey would at least want him saved for the sake of Han and Leia. Han was like a father figure to her, and the last thing he did before he died – literally the cause he died for – was try to bring his son back to the light. Leia is already on her way to becoming like family to Rey, and she wants her son redeemed. 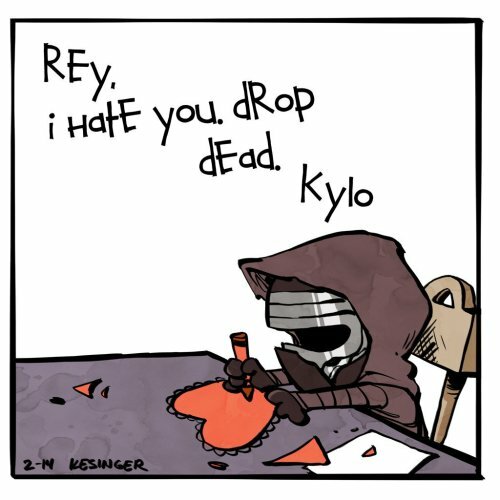 Kylo is one of the few people left in the universe whom she really loves. And the last thing she said to her husband before he was gone forever was to bring back their son. If Rey truly cares about these people as I know she does, I have a hard time believing that Ben Solo’s redemption means nothing to her. That all she’ll ever want to do is cut him down. I think at some point, just like Han and Leia, she’ll want to bring Ben home. Ask any Reylo fan why they love their ship, and they won’t be able to help telling you the many parallels and contrasts between the characters. 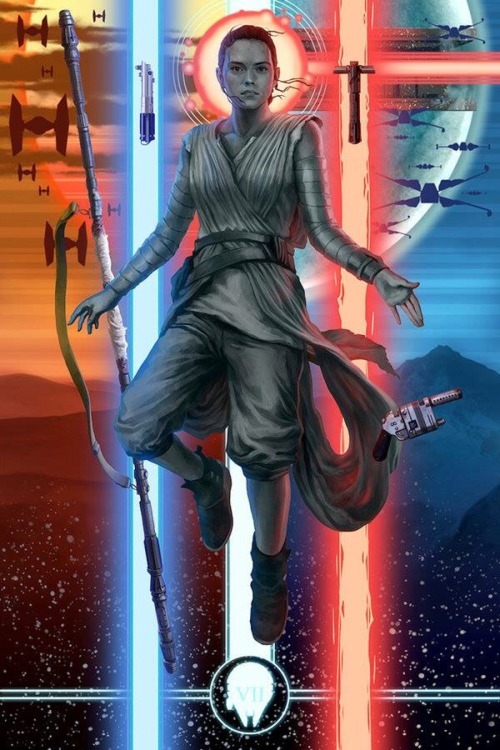 From similarities in costumes, parallels in lighting and art direction, possible themes in choreography, the fact that each wants what the other has (Rey wanting the loving family that Kylo gave up, and Kylo wanting her peace of mind and stable use of the Force), the fact that his lightsaber and her staff mirror each other on the poster, and more, it seems the makers of the new Star Wars trilogy are really trying to emphasize the connection between these two characters. What’s more, there are hundreds of possible themes the story could explore through the ship. There’s the obvious themes of forgiveness and redemption. There’s the fact that, if Kylo came to the light side for Rey, it would be a reverse of the relationship between Anakin and Padme. If the theories are true about Rey being a Kenobi, her redeeming Kylo would symbolically tie up the loose ends of Obi-Wan and Anakin’s relationship, since Obi-Wan was killed by his old friend and never got to see his redemption. Or, if the theories are right about Rey being a reincarnated Anakin Skywalker, it could explore how Kylo would deal with meeting his hero in such an unexpected way. Most importantly, though, is how their relationship relates to and mirrors the light and dark sides of the Force. 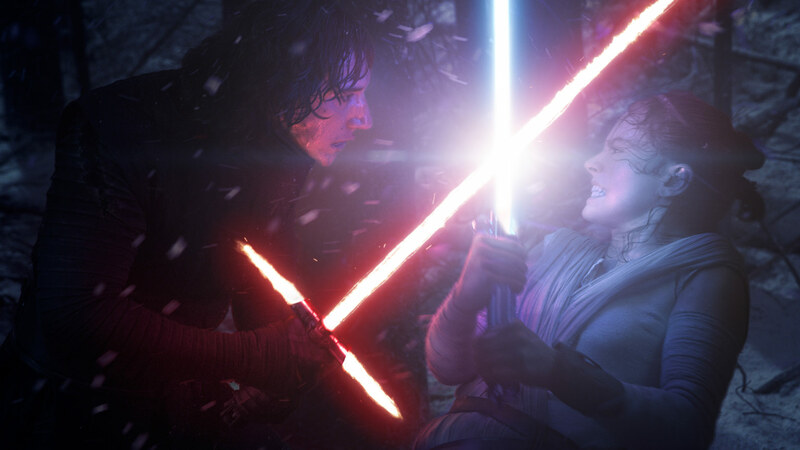 A huge theme in Star Wars, and one which the filmmakers have said they are going to focus on in this new trilogy, is the need to balance the Force and the co-dependent yin/yang nature of its light and dark sides. A lot of people think the light side equals good and the dark side equals bad. But, while that has been the case in the specific characters we’ve usually met in the films, it’s actually far more complicated. 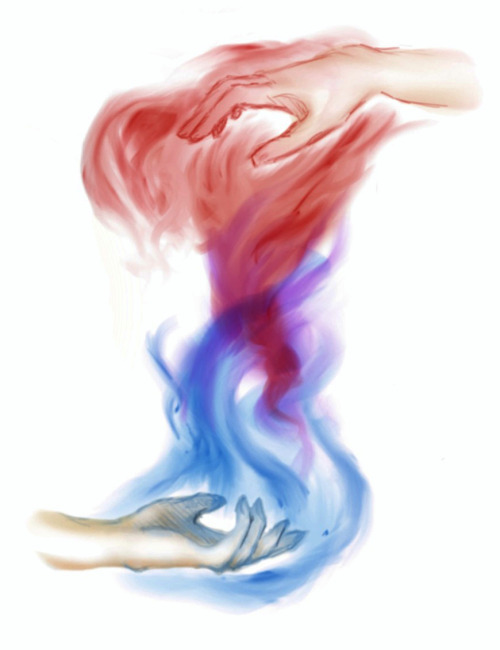 In fact, instead of each side being purely good or evil, good comes from the balance of both sides, and evil comes from leaning more toward one side than the other. With such an expansive canon, there are, of course, many different takes and contradictions on just what exactly these sides stand for. But looking at it as a whole, it seems the light side of the Force is basically introversion and valuing ideals over people. It’s about the self. Self-focus, self-reliance, self-growth, and the quiet virtues like inner peace, calmness, patience, obedience, and perseverance. Meanwhile, the dark side of the Force is basically extroversion and valuing power and people over ideals. It’s about energy and passion. It’s about passionately loving and desiring. Taking all your feelings and using them to fuel the fire of your determination. It’s about forming strong goals, and ensuring nothing can stand in your way. Getting out there and taking all you can take, being all you can be, realizing your full potential. Leaning too far toward either of these sides creates an extreme. A balance between both is needed – both for the individual so they can become a whole and healthy person and for the universe so that these co-dependent sides no longer needlessly war against each other. The main problem in the Star Wars universe is that the Force is not balanced yet. Every problem that arises in the stories stems from this fact. Wars are fought and won, victories are celebrated. But more battles arise as time goes on, and peace is never permanent because the Force is still unbalanced. In the old EU, and beginning in the original trilogy itself, it is Luke who eventually finds that balance, both on a personal and universal level. Luke is an extrovert who places people before ideals and is driven by passion and excitement to seek adventure and become somebody important in the wide universe – the very definition of the dark side of the Force. However, he joins up with the light side of the Force instead. He chooses to learn the traits and virtues that side has to offer. He trains under Yoda (a character overly on the light side, which is part of why Yoda doesn’t fully trust Luke. He can sense the dark side traits in him). But Luke also continues to make his own decisions rather than act in absolute obedience to Yoda. He keeps his dark side traits rather than replacing them with light side traits as Yoda would wish. Luke acquires what he needs from the light side. But when Yoda tries to keep Luke’s focus inward – to keep training and growing – rather than outward on his friends who are in trouble, Luke chooses to help his friends instead. When Yoda tells him that a desire for adventure is a negative trait, Luke still keeps that excitement in his heart. And later on, Luke abandons the Jedi principle of non-attachment when he falls in love and marries Mara Jade. He is not entirely loyal to the ideals of any specific side but instead learns what he needs to and does what he has to in order to bring about the most good. At one point, he even willingly becomes the “evil apprentice” of the newly reincarnated Emperor Palpatine in order to get close enough to him to destroy him once and for all. Luke knows how to dance the line between light and dark, and he passes that on to his students. Luke creates a brand new kind of Jedi, which ultimately balances the Force. The old EU, however, is no longer canon and the new canon has decided to do something different with Luke. And instead, they have chosen to make Rey the one who will eventually balance the Force. Rey, at this point, symbolizes the light side of the Force. She embodies the traits that the light side values – being self-focused, self-reliant, hard-working, waiting patiently and obediently in solitude as she thinks she’s supposed to. At the same time, she is also enticed by dark side traits – wanting to reach out and connect to people she can feel passionately about (such as Finn and Han), wanting to go on adventures and see the beauty of the universe she never got to see on her dull home world. However, because she is so overly on the light side, she is too unbalanced to be able to do those things at this point. When Finn takes her hand as if trying to rescue her, Rey balks at it because it goes against her self-reliance. She does this again when Han tries to teach her how to use a gun. When Han offers her a job to go adventuring with him, she turns him down, saying she must go back to patiently and obediently waiting on her home world. And when Luke’s lightsaber calls to her, she again turns it down for the same reasons. Her light side traits are so strong, she is unable to fulfill her own destiny. She needs to connect to her dark side traits if she is going to become what she needs to be. On the other hand, Kylo Ren represents the dark side. He is all fire and passion and determination with a love for other people – for his parents – that he can’t shake no matter what desperate measures he goes to. What makes Kylo an especially interesting character is how backwards he is. How it is, ironically, his dark side traits that stop him from becoming a full-fledged dark side villain. If he ever wants to become more than what he is (for better or for worse), he will have to reach out to the light side and acquire its traits – calmness, inner peace, and obedience. 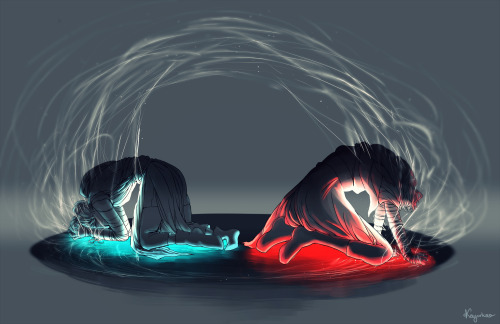 So, what we have are two characters who represent the light side and the dark side, each fascinated by and needful of the other side. If they were to come together, not only would they each become whole and balanced people, they would also bring balance to the force on a personal and universal level. This is my defense of Reylo, my rebuttals to the charges laid against it, and my points in favor of it. Whether or not you ultimately end up shipping it, hopefully this series has at least helped you better understand the ship and the people who love it. I’m very excited to see where the franchise will take these fascinating characters, and all of us Reylo shippers will keep our fingers crossed. In the meantime, we’d love to know your feelings on the ship. 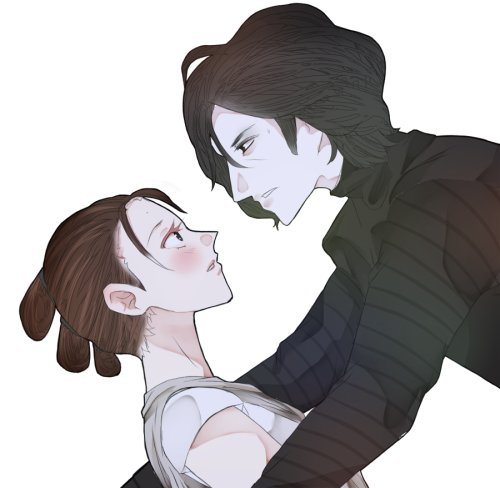 Are you a Reylo shipper? Do you think it will become canon? Let us know in the comments!